Sometimes, adventure comes looking for you. 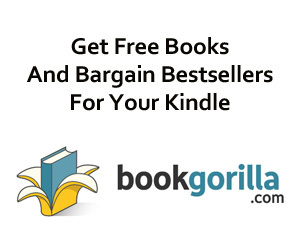 These probably aren’t the books for you if you don’t believe that throughout history, ordinary people just like you and me have wandered into adventures they never planned, certainly didn’t ask for–and couldn’t escape! But it really happens. That’s the truth. And sometimes the best way to tell that truth is with fiction that’s as real as what actually did happen. Somebody murdered Jim Bingham, shot him down on he street in front of his office.Now, his college journalism professor daughter must abandon the world of academia to run the weekly newspaper he left behind. She soon discovers that marijuana-growing has corrupted the idyllic little Kentucky town where she grew up and she declares war on the dope business. The growers have to shut her up…just like they did her father. *In 1989, federal authorities busted the Cornbread Mafia, the largest domestic marijuana-growing co-op in U.S. history. They confiscated 182 tons of dope with a street value—in 1989!—of $400 million and arrested 56 men in 5 states…but they all came from one small town in Kentucky. Grayson Addingtom returns from combat in Vietnam to find his wife in his brother’s arms and a mysterious little girl called Maggie in his living room. When Maggie runs away with Grayson’s two-year-old daughter, Sadie, the waring brothers must team up to look for them. They find Sadie trapped in the rocks out of reach–beneath a dam about to collapse. Grayson will have to stand there and watch her drown right before his eyes…unless Maggie can save her. *On Feb. 26, 1972, a strip-mine dam on a West Virginia mountainside failed and 125 people were killed by a 35-foot-tall wall of water when it crashed down into the valley on the little town of Buffalo Creek. Photojournalist Ron Wolfson is risking his life in Sudan to track the phantom story of government-supported slave-trading when he forms an alliance with a Dinka tribal searching for his kidnapped daughter. Together they face a slave trader’s savage retaliation, and must place their fate in the hands of an orphan boy and a mercenary in a final desperate effort to save the little girl before she vanishes forever. *In the summer of 2001, a Dinka tribal walked 500 miles into Arab Northern Sudan to rescue his kidnapped daughter. *On March 4, 2009, the International Criminal Court issued an arrest warrant—the first-ever for a sitting head of state—for Omar al-Bashir, the president of Sudan. He was charged with crimes against humanity for the slaughter of two million tribal people and the sale of 300,000 into slavery. 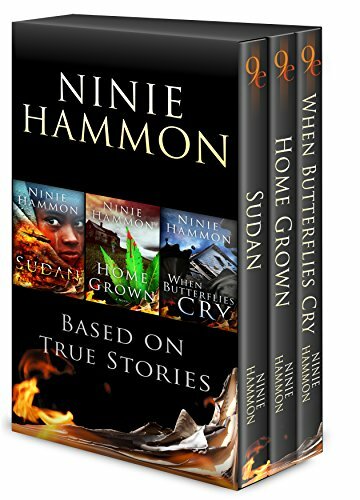 Award-winning journalist and bestselling suspense and thriller writer Ninie Hammon has masterfully weaved reality into fiction in these three books, capturing the hold-your-breath suspense of what really happened. If you enjoy realistic adventure, based on actual historical events, these books will keep you flipping pages way past your bedtime.